Growing up in the new millennium is definitely tricky. With social media our biggest influencers and billions of people out there, it can be difficult to find your place – luckily, teen photographers have made their own. With thousands of teen photographers online, a few stick out, and by sharing their personal lives plus their work, they have created a community. For them, followers are not always just followers but best friends and business partners; they have made connections that would be unheard of without the internet and, to them, it is completely normal. These five gals (aged between 14-17) have made Instagram what they wanted it to be and have the followers to prove it. When Sienna isn't running her own magazine, Things Mag, she is capturing teen life. 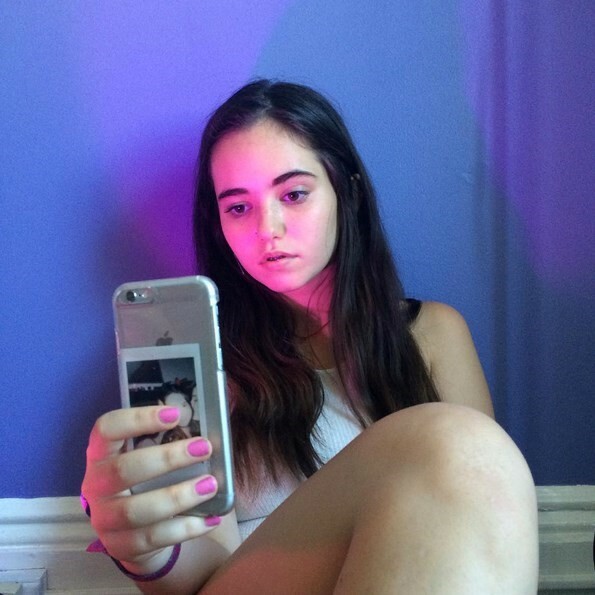 Sienna has created her own internet girl gang with other teen artists living in Boston. Whether Sienna is doing shoots inspired by Wes Anderson, or just taking pictures for her magazine; her work never fails to please. Although Maggie's IG handle (djsausagemcmuffin) suggests Maggie is a weird 12-year-old boy, that couldn't be farther from the truth. Her Instagram is very aesthetic-y, with a few selfies here and there – not to mention, Maggie shoots and interviews teen girls in Santa Barbara for Crybaby Zine monthly. It is no surprise that Piper (aka pipesqueek) has worked with Petra Collins and Stef Mitchell, because her work is just that good. Still in middle school, Piper has definitely found herself. Her Instagram looks like a teen dream of pretty pastels and selfies. Genevieve's IG handle is accurate to both her online persona and her photography, it's magic. Genevieve captures her friends in a "totally teen" way, never leaving out tongue touching and cigarette smoking. She doesn't hide her friends’ flaws or their body hair; she embraces it all. When you mix bubblegum pop and tomboy style, you get Ryann's photography. Her photography of her friends makes you feel as if you have stepped back into the 70s, with all the warm reds and baggy jeans.